Fabian Mitterhauser, 17 years old, from Kaprun in Austria. 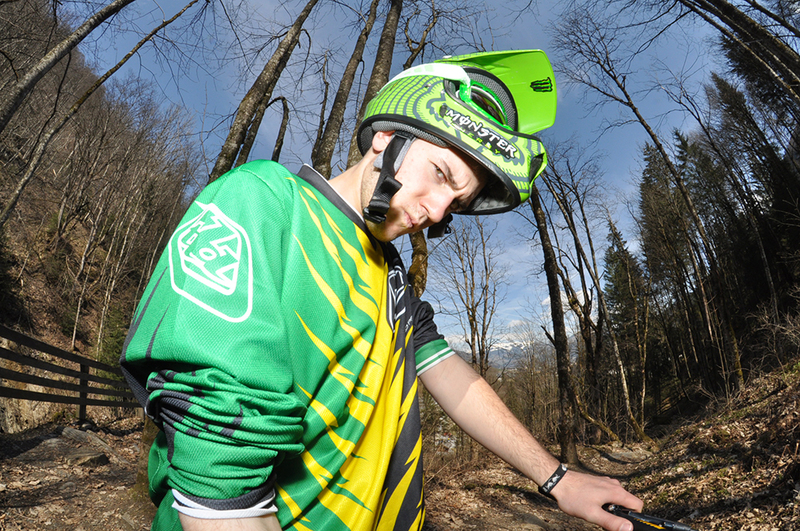 He loves shredding natural single trails but bikeparks are also exciting for him. Since this year he is working as a trainer for kids who want to enter into the downhill/freeride sport. Every week there are lessons where they shred different places and learn how to do a bunny hop or to jump or ride a curve or something else! 2002 were the world championships in Kaprun, since he was in love with the mountainbike sport and wanted to go riding every day! By the age of 12 years he got his first downhillbike. As you seen on the pictures he is riding specialized bikes, specialized are the best bike which fits him the best he said. Fabian also rides a little bit dirtjump and street. In kaprun there is a little dirt park with an pumptrack where you can find him in the evening with friends barbecuing and riding their bikes and round off a nice summersday!